We believe growing old is a privilege and our twilight years a time of life to be celebrated. That’s why we’ve created a home from home – a place to enjoy quality of life, good food, friendships and laughter. Our respected professional staff promotes a holistic approach to care and well-being. Their core values of compassion, respect and integrity are evident in all the services offered, from taking residents on outings to cooking the best quality food. Everything we do is to create a positive experience for our residents – every day. The health and wellbeing of our residents is paramount. That’s why our dedicated team of professional staff are on duty 24 hours a day, seven days a week.Our experience has taught us that residents have a variety of needs from entry level to high dependency. We work closely along healthcare professionals including doctors, community nurses and social workers to achieve the best outcome for our residents. 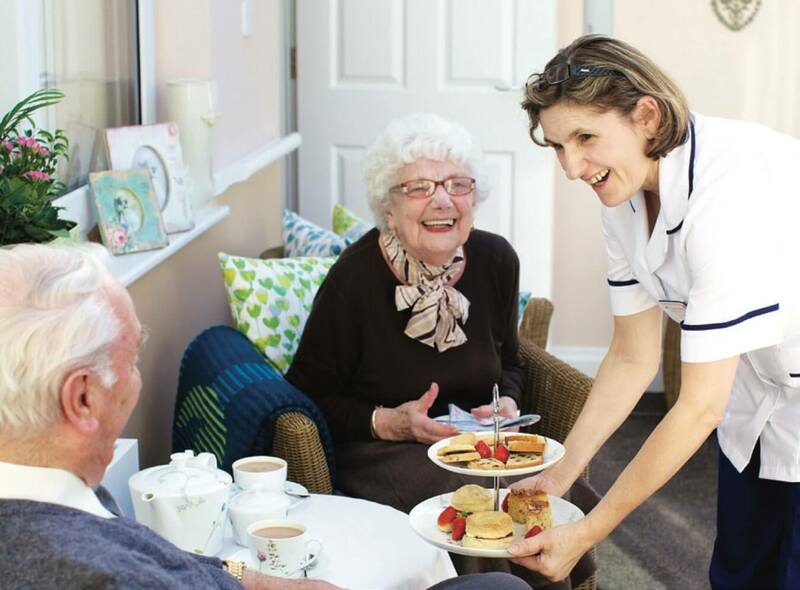 Our collective aim is to provide bespoke care packages that support the wellbeing of each individual resident. Caring is in our DNA! Generations have been involved in making Les Houmets the excellent and reputable place it is today.